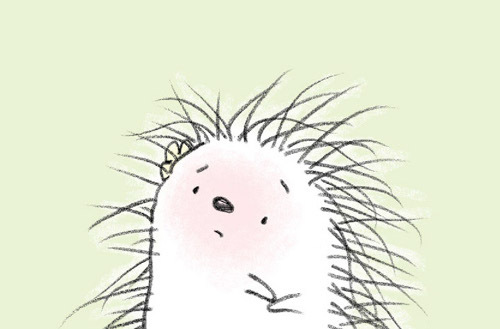 Following Percy’s tale this year will be Randall de Sève’s Peanut & Fifi Have A Ball, also aimed at the youngest of picture book listeners and to be released this April from Dial. 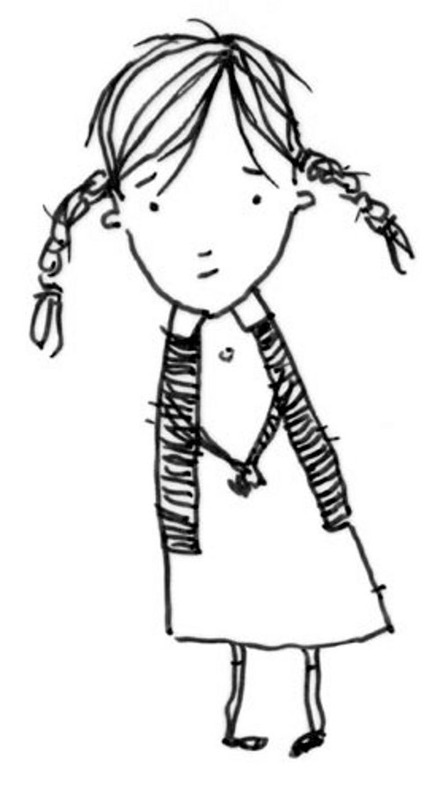 This well-crafted tale nails a particular predicament of siblings, and Paul talks a bit below about his thoughts behind his illustration choices. Oliver and many of Paul’s previous picture book protagonists, whom you’ll see below (Percy, Pearl, Petunia), are constantly navigating their strong interior feelings, as all children must do, and do their best to make sense of them and face them down with as much bravery as they can muster. I’ve enjoyed Paul’s books, enjoy watching his career unfold, and think Oliver’s tale is his best book thus far. He’s here today to have eggs (scrambled with diced sun-dried tomatoes), ham, and asiago cheese, a breakfast I can get behind. 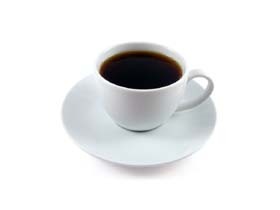 He prefers tea—Keemun tea and lots of it—and I’ll get my coffee brewin’. I thank him for visiting. Paul: The feel of the story tends to dictate what I choose. I’ve used pen, pencil, watercolor, a mix of organic and digital, and for one book, digital art exclusively. 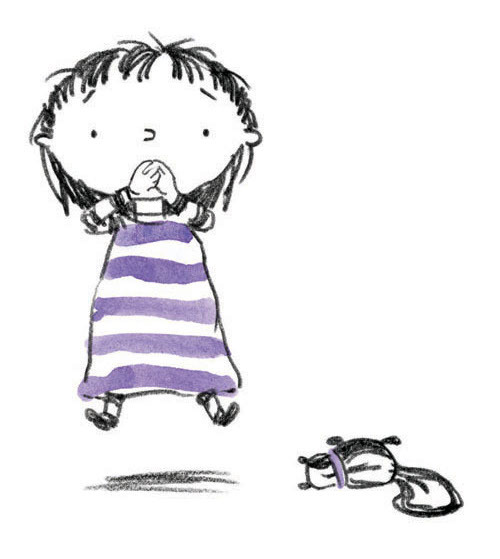 Paul: “The character design for Peanut and Fifi grew directly out of their personalities in Randall’s story. Peanut has a new ball. She doesn’t want to share. She’s content, satisfied, conservative. He shape reflects this by being round, soft, contained. 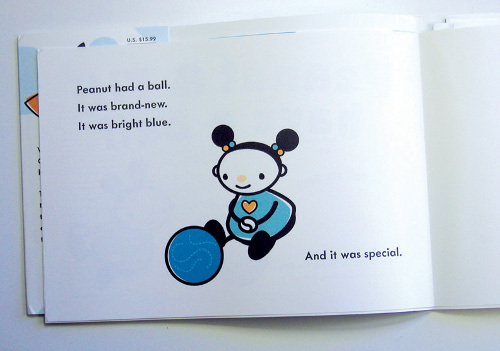 Fifi desperately wants to play with the ball, and she suggests many fun things she and Peanut can do together with the new ball. 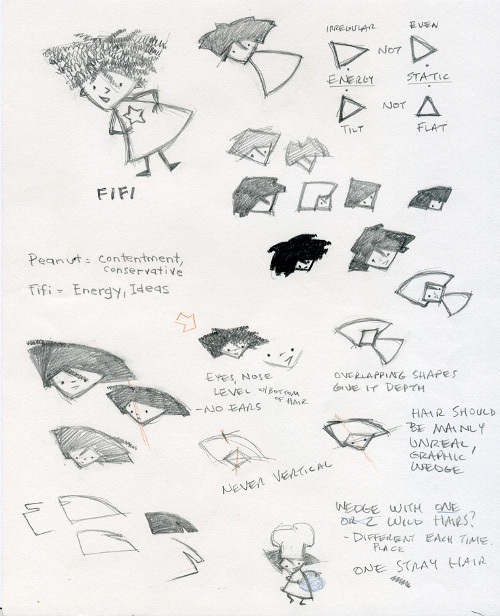 Fifi is active, inventive, progressive. 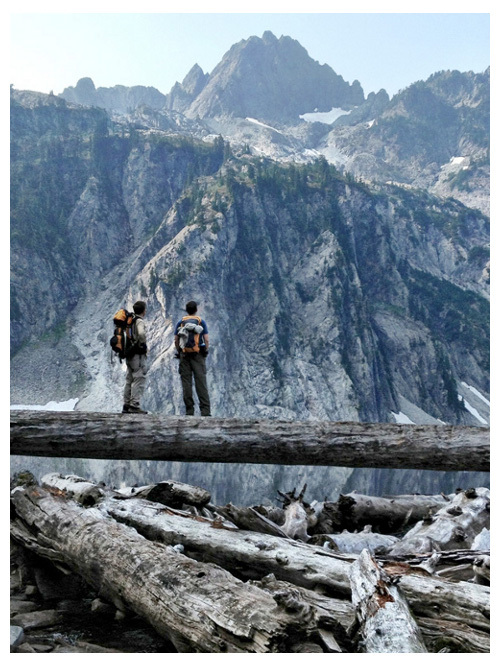 Paul: Seattle, Washington, where I can enjoy stomping around in the North Cascade mountains, only about an hour’s drive away. Paul: That began only a little over five years ago! I had spent about 25 years as a commercial artist. 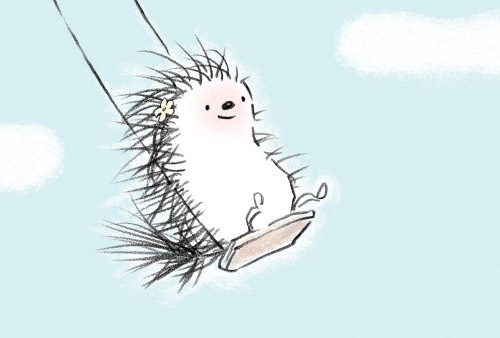 I always thought the idea of illustrating children’s books would be gratifying; I just didn’t guess that you could actually make a living at it. So, I did primarily advertising and editorial work. I landed a staff position at a Seattle newspaper, which I enjoyed for many years, but when that industry began to decline and the layoffs at my paper reached into the hundreds, it was clear the time had come for me to sneak off. 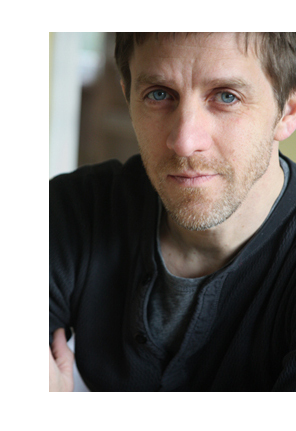 Finding myself unemployed with no clear direction, one day my lovely, brilliant wife suggested I call Steven Malk, a literary agent whom I had made contact with a number of years before. Steve took me on, and we floated out a post card. 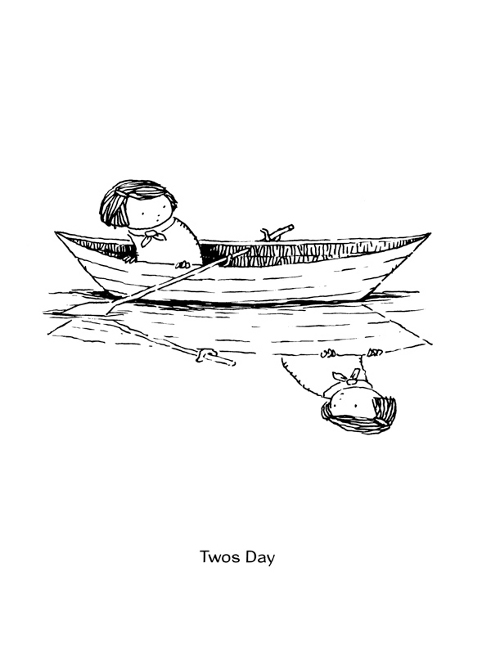 Some months later, I was offered a spectacular chance to illustrate The Wonder Book by Amy Krouse Rosenthal. 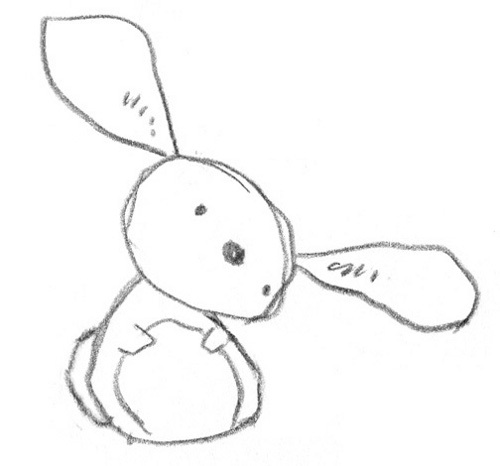 My trusting editor was the fabulous Maria Modugno, who—while I was waiting for approval on rough sketches for Amy’s book—suggested I try my hand at writing. Honestly, I hadn’t given it much serious thought before, but since I was sitting rather idle at the time, I threw myself into it. Stories must have been waiting in some dark closet in my noggin, for—astounding no one more than myself—I wrote and sold four manuscripts in eight months. “Pearl is sweet. She goes to Wildwood School. She’s a very good friend to have. Paul: Out this January is Perfectly Percy, my fourth self-authored book to be published, but actually the first manuscript I wrote. 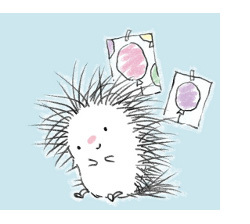 Percy began as a random sketch for The Wonder Book, a stand-alone joke of a porcupine running with a balloon. Ha-ha, I thought, his balloon’s gonna pop! 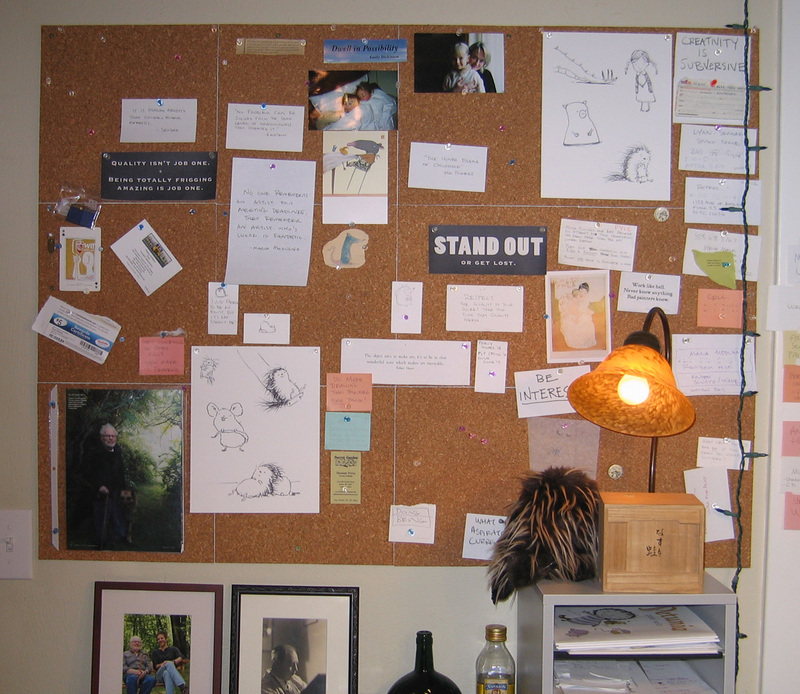 The idea never found a place in Amy’s book, so I ended up just pinning the sketch on my wall. That sketch wouldn’t let me go. 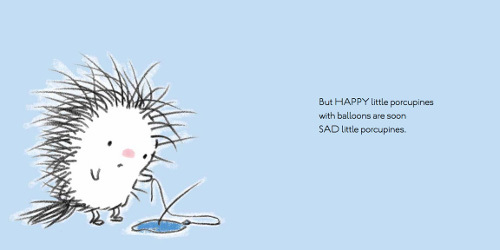 The more I looked at poor Percy, the sorrier I felt for him. I began to feel rather cruel for drawing him into it; he looked so happy and innocent! But his balloon’s gonna pop! I found I had to write him out of his predicament. 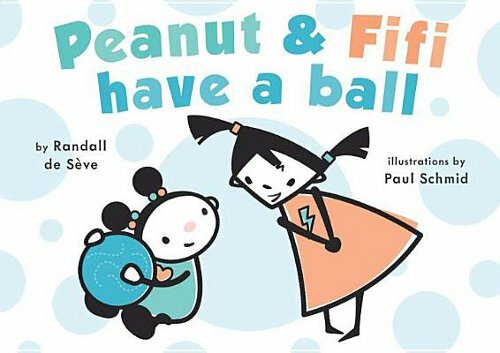 I am very excited about another book due out in April, Peanut & Fifi Have A Ball, written by Randall de Sève. 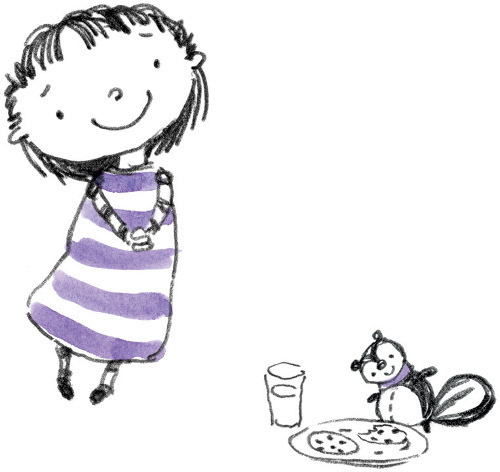 I just loved illustrating this; the characters were so wonderfully developed by Randall. 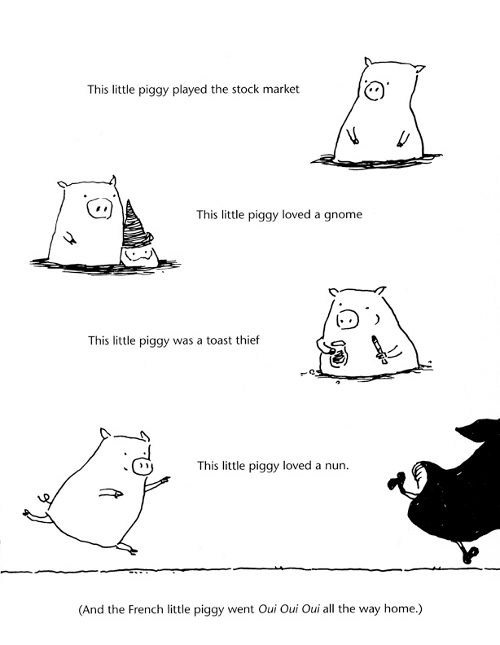 It is a very playful story with a smart, provocative twist towards the end. 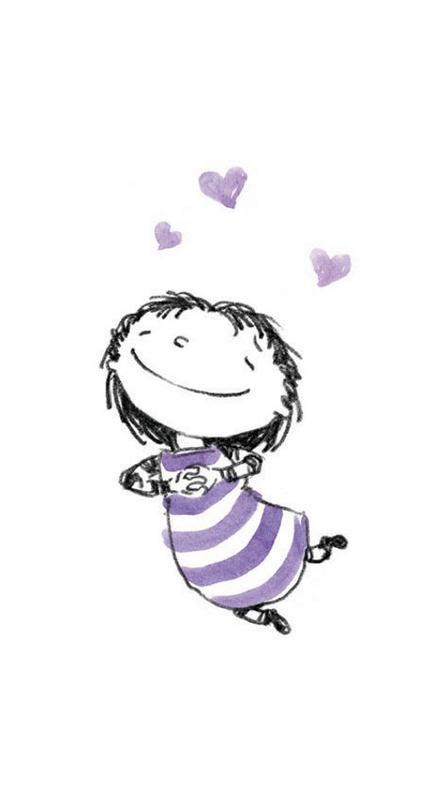 She’s also one of those authors who knows just how to write for an illustrator to spread his wings. 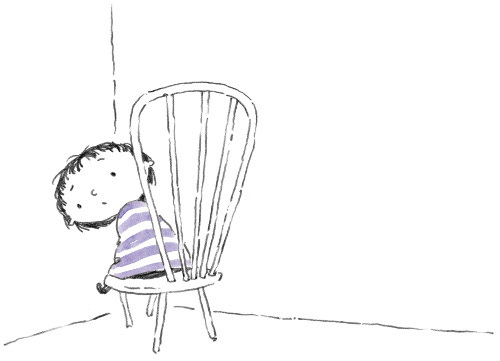 This June sees another new book I wrote, Oliver and his Alligator, about a shy, cautious boy on his first day of school. Oliver decides it would be prudent to bring an alligator along, just in case things at the school get rough. 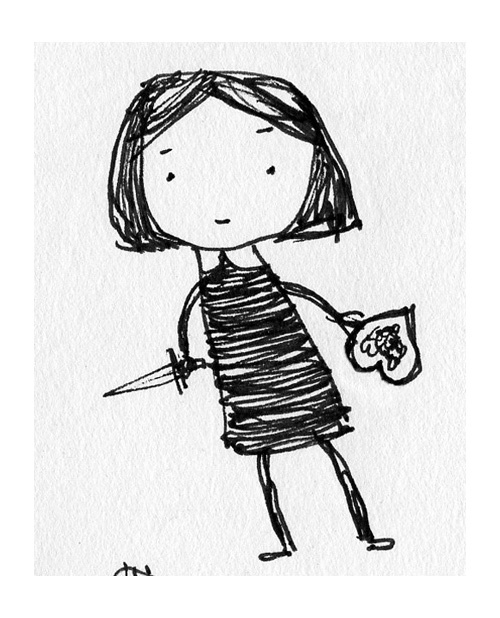 This is the most autobiographical of all my books. 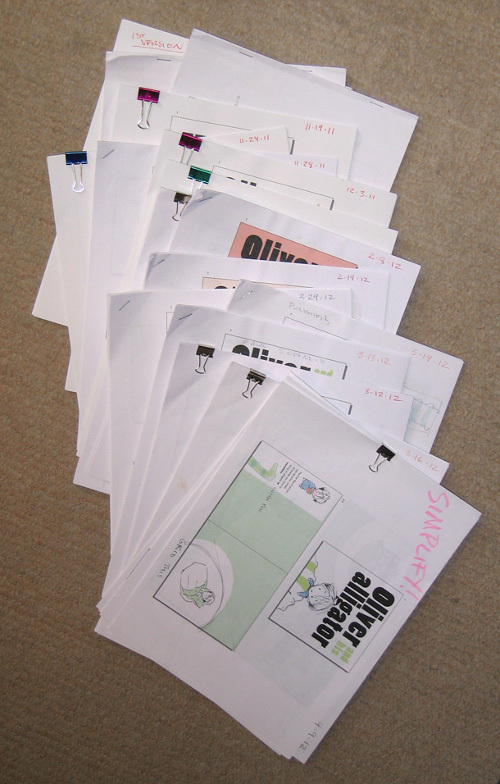 I’m just beginning the final art for a second Oliver book, Oliver and his Egg. It’s got dinosaurs in it! I also have a small handful of manuscripts in various stages of untidiness. Okay, the tea’s on the table for Paul, but I’ve got my coffee out, too, and it’s time to get a bit more detailed with seven questions over breakfast. 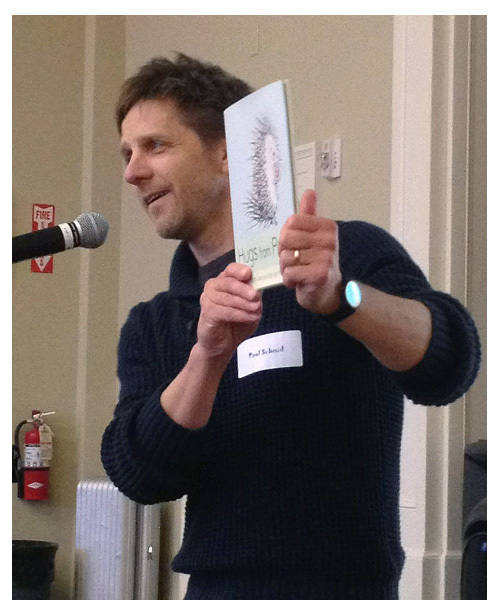 I thank Paul again for visiting 7-Imp. Paul: If it is a book I am writing myself, it generally begins with a quality I admire about kids. 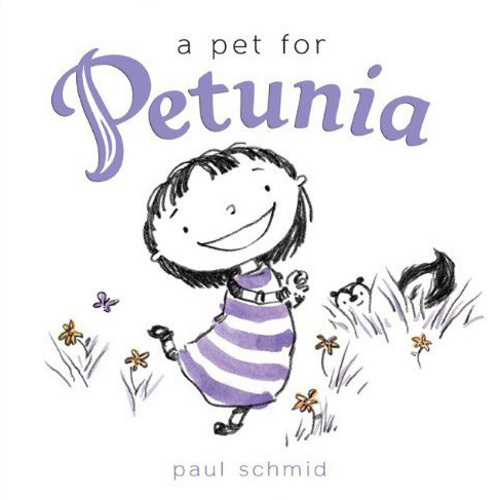 A Pet for Petunia is a reflection of the passion my daughter threw into desiring various pets — and her resiliency when she didn’t get her way. 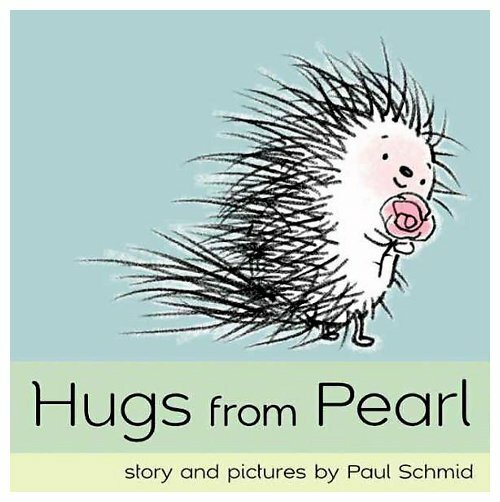 Perfectly Percy and Hugs From Pearl came from marveling at children’s determination to pursue what makes them happy, no matter what the obstacles. “Percy sat. He closed his eyes tight. But no thoughts came. I start by mulling over this feeling I have about what I want to say, and in time something drifts along that triggers an idea on how I can convey the concept across. 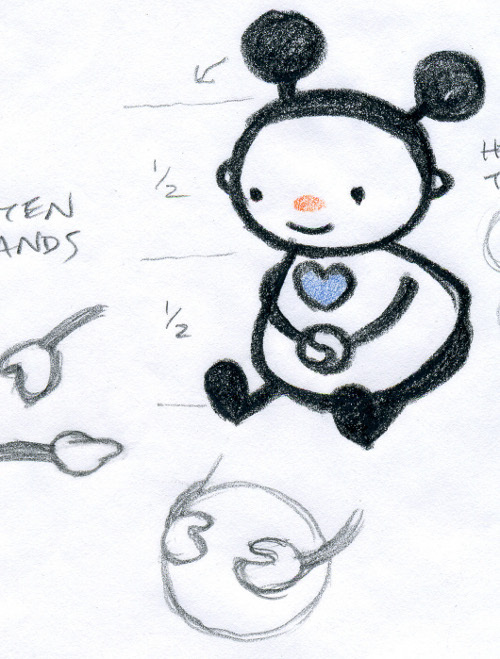 Then comes an intense period of putting all the ideas rushing about in my head down on paper. The first draft can take anywhere from twenty minutes that are supremely satisfying and productive, or endless months of agony and frustration and failure. That’s writing. Re-writing is never less than misery. 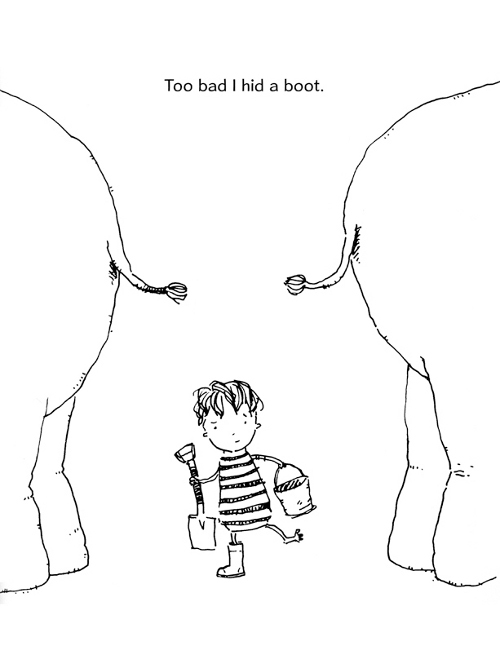 I re-wrote the first sentence of Oliver and his Alligator over forty times. 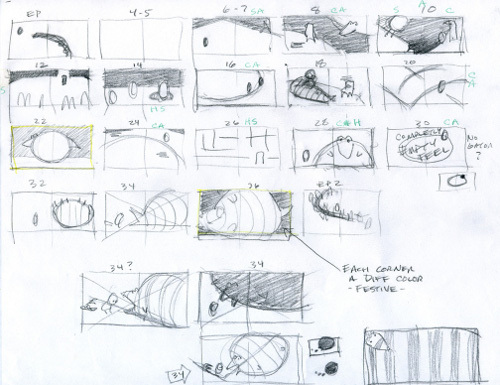 Paul: “Here is an early sketch, planning out the design and layout of Oliver and his Alligator. 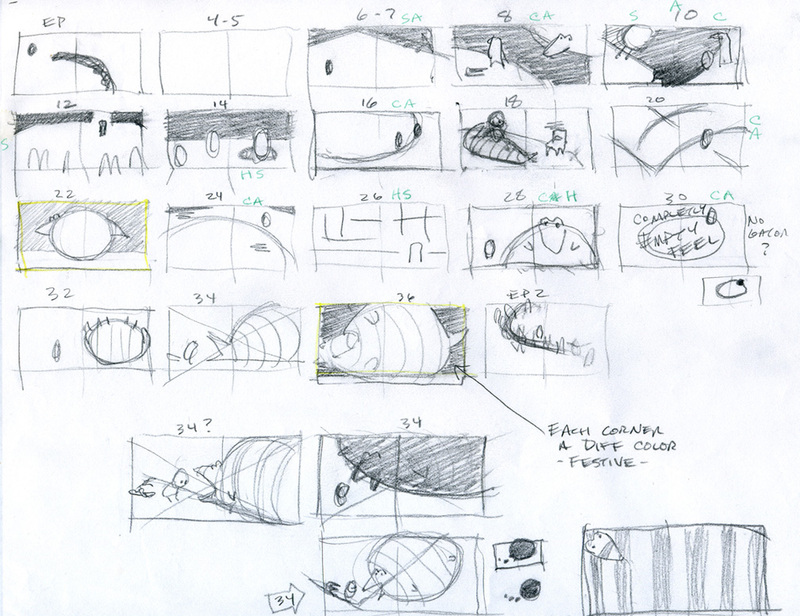 I drew the spreads very small in order to seek strong abstract shapes. round shapes, contentment. Choppy, crisscrossing forms: agitation. Sketching begins shortly after the words start to come together. 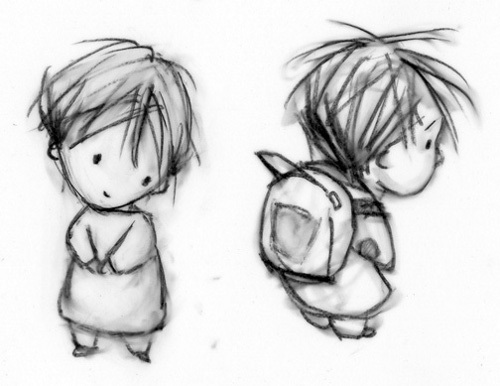 Once I start sketching, I find most of the words begin to disappear, simply because I don’t need them anymore. A lot of really great lines get tossed. 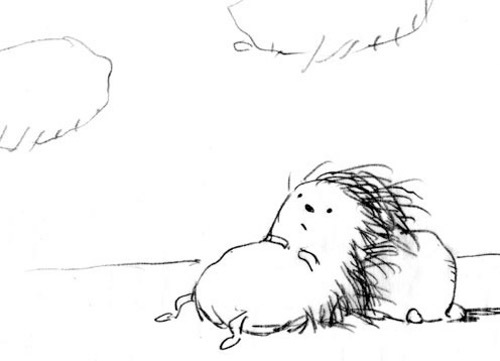 A lot of really great sketches get tossed, too. I enter a long period of reduction of both the writing and drawing, winnowing without sentiment the ideas that don’t focus the story. 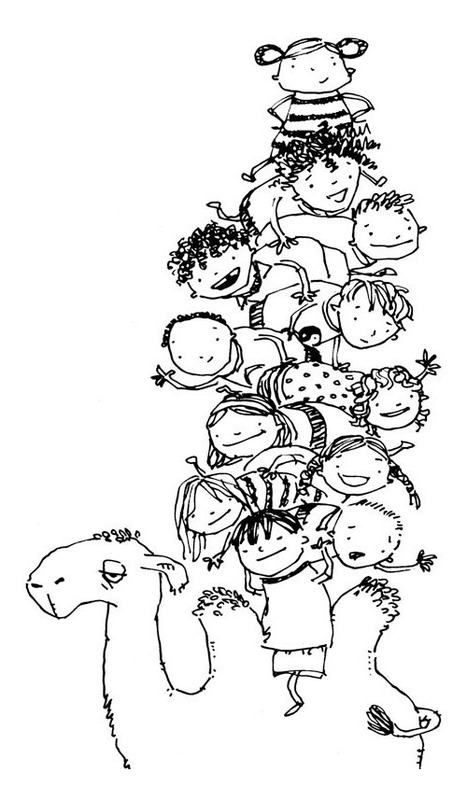 It’s as if, after giving birth to many, many lovely children, I murder the ones that don’t fit in. Pretty brutal, really. All my dummies are assembled in InDesign; using the program gives me the most flexibility to make changes. I make a lot of changes. 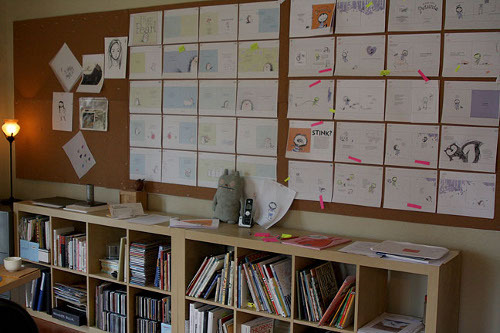 I draw inspiration for my finished art and the design of the book from a wide range of sources. 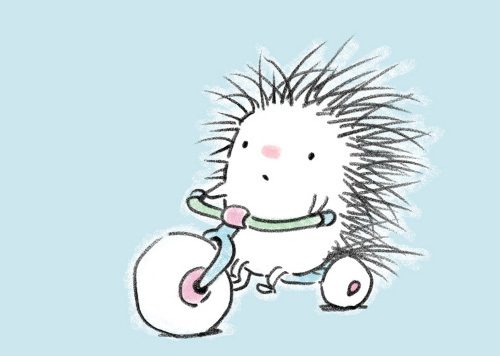 In fact, I steer myself away from looking at most kids’ books at this stage. I tend to agree with Susan Sontag: “The only interesting ideas are heresies.” So, I dig into Japanese prints, German poster design from early last century, Beardsley, Andy Wyeth, Ben Shahn, all sorts of random things. 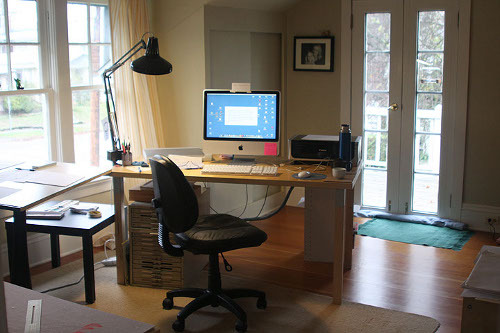 Paul: My studio is in a spare bedroom in our home. One wall is nearly entirely cork. 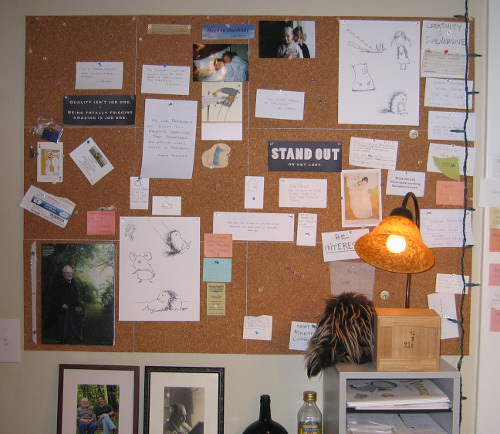 I can pin up to three books-in-progress on that wall, pecking away at things until the deadline takes them away. 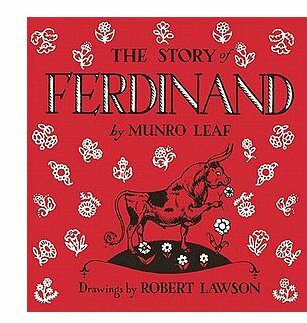 Paul: I felt Robert Lawson’s illustrations for The Story of Ferdinand were exquisite. 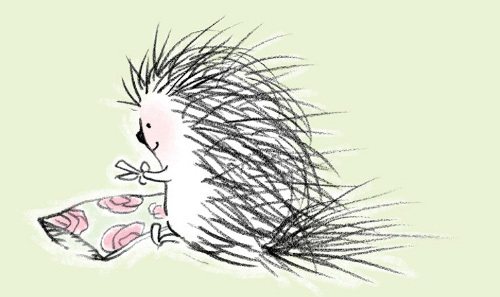 That lovely ink line, his strong design. 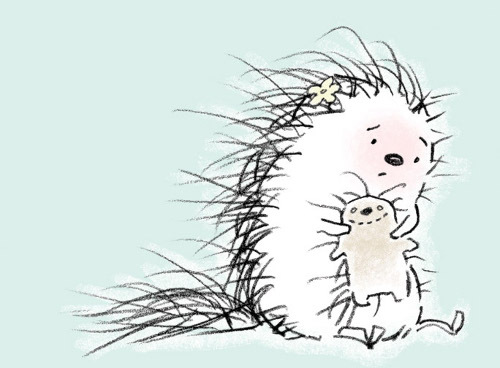 His illustrations gave me an aching sense of beauty, which I have been yearning to achieve in my own work ever since. N. C. Wyeth’s dynamic paintings gave me that same throat-tightening desire, too — to capture the deep, rousing passion with which he imbued his illustrations. All these years since, my ultimate aim for my own work has been to match the gorgeous design and craftsmanship of Lawson with the emotional vibrancy of Wyeth. 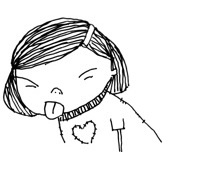 So, really it should be no surprise to me why I am rarely, rarely satisfied with my own illustrations. Paul: Ah, that’s easy: Lisbeth Zwerger, Gennady Spirin, Peter McCarty. I grovel before them. Paul: When I play music depends on what stage of the process the book is in. I can’t listen while I’m doing intense conceptual work, but I run quite a range at other times — French jazz from the 1930s, dorky jug-band music from the ’20s, blues, world music. My 3M’s: Miles, Monk and Mingus. Brubeck, Bach, Ravel trios and quartets, Howlin’ Wolf, Sainte-Columbe, Satie, Professor Longhair. 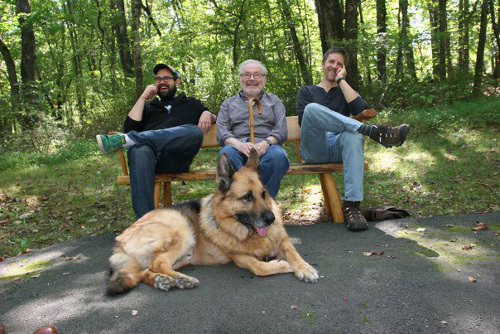 The Tin Hat Trio is a fascinating modern chamber group. The Bahamian guitarist Joseph Spence makes me laugh. And I love anything with a musical saw in it. In one of my next lives, I intend to learn how to play the musical saw. 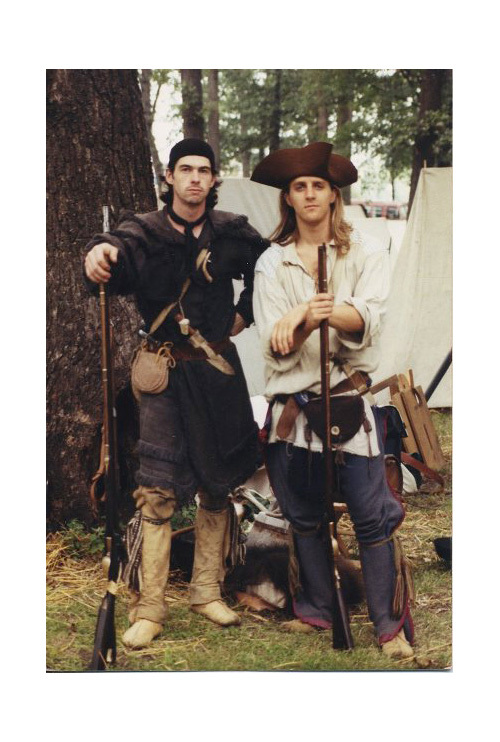 Paul: As a young man, I was in the Revolutionary War. Well, the Bicentennial of it. That’s me on the right. Paul: I’ve been asked how I create books, but not why. In fact, I can’t honestly say how; it all seems such a mess for so long. I keep hammering at it until, hopefully, at some point, it isn’t. But the why is quite clear to me. I tell stories about living for fresh people. Just think of the themes I can work with: joy, passion, longing, power, powerlessness, mystery, disappointment, loss, victory! Children are fresh, because they laugh and cry without embarrassment, they give themselves wholly to what they are feeling. Watch kindergartners at recess some time: there’s more shouting and drama than Italian opera. Kids feel. I believe they feel things much more fully than adults, simply because they haven’t very much experience with life. They’ve not yet learned to smooth out their feelings with excuses or reasoning or justification. They don’t know anything but honesty. I love them for that. Their honesty and freshness has much to teach me about life and living. And—this is the great thing—that grants me a tremendous responsibility in creating books: I must be honest and unflinching as well. Paul: Quite a lot. I’m lucky that way. Paul: Fear and worry. In myself and others. Paul: My wife laughing. She sometimes laughs while sleeping. I’m lucky that way. Paul: Two- or three-toed sloth. Paul: Anything that’s too easy. 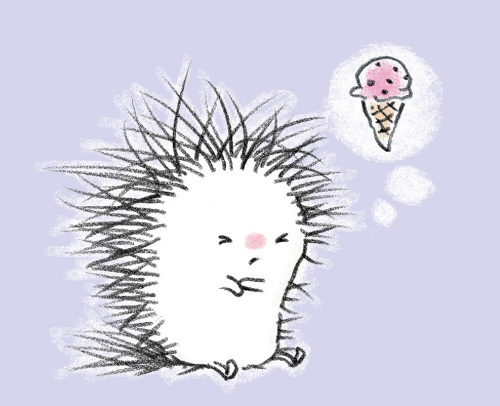 And there in a nutshell is my neurosis: I yearn to relax and take it easy, yet persist in challenging myself. All artwork and images used with permission of Paul Schmid. What a wonderful post and a great start to my morning. Thank you to Paul and Jules for sharing. Great start to the day – what a wonderful interview! Thanks, Jules and Paul! Oh, my. I know I love his books but now I know more about the why from this interview. And that’s just it, his “why” answer gets to the heart of picture book making for me. Thanks to Jules and Paul. How inspiring. There are quite a few passages here I want to cut out and pin up on my mirror. I just bookmarked this fantastic interview — thank you for sharing so much great art and insight! 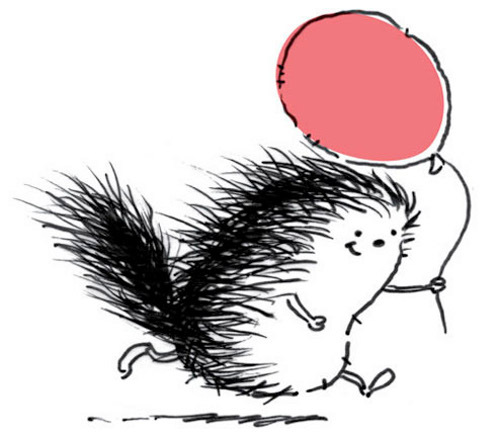 Paul, I love that your random sketch of a porcupine running with a balloon was originally created for The Wonder Book, but not used… And then later this guy ended up starring in a book of his very own—Can’t wait for Perfectly Percy! Wow! I am so honored to know you! I wish I had that much fun being young! Great interview, impressive to see your working process and get insights into what has inspired you along the way. See you at the Pagoda tomorrow night, we’ll raise a glass to your notoriety! Terrific interview! 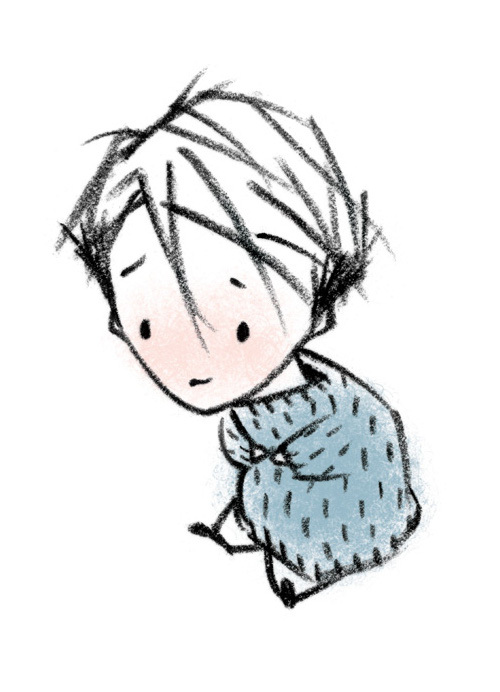 Paul’s characters are so sweet and I envy his (seemingly) effortless touch! It’s always interesting to learn about an artist’s process and you ask straightforward and fun questions. I haven’t been here in a while, so glad I was reminded about it by friends on Twitter 🙂 I also love Paul’s “why” & his description of children, so true. Thanks for a needed lift midweek! 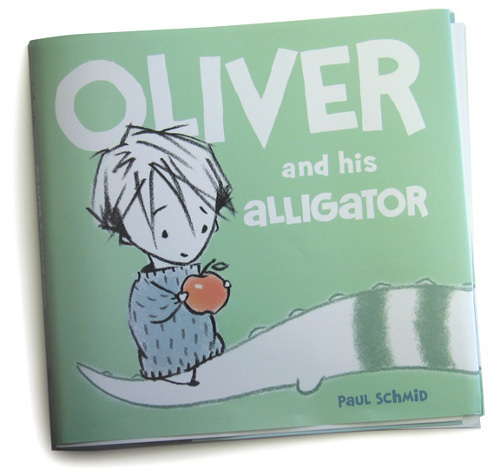 Thanks for the great interview and sneak peek–I can’t wait to get my hands on Oliver and his Aligator! What a wonderful wonder-full interview… thank you both for sharing.